Fractional Radiofrequency (RF) Skin Rejuvenation, also known as Syneron Candela Sublative Treatment, is a non-invasive treatment delivering non-specific heat to target dermal tissue while the outer layer of the skin (epidermis) remains relatively intact. This stimulates collagen production resulting in a reduction in fine lines, mild to moderate wrinkles, skin laxity, acne and acne scarring. RF rejuvenation differs from traditional fractional rejuvenation in that it does not use laser or light technology. RF treatments allow for the benefits of traditional laser fractional rejuvenation, but as only 5% of the epidermis is affected, the rate of healing is rapid with little downtime. 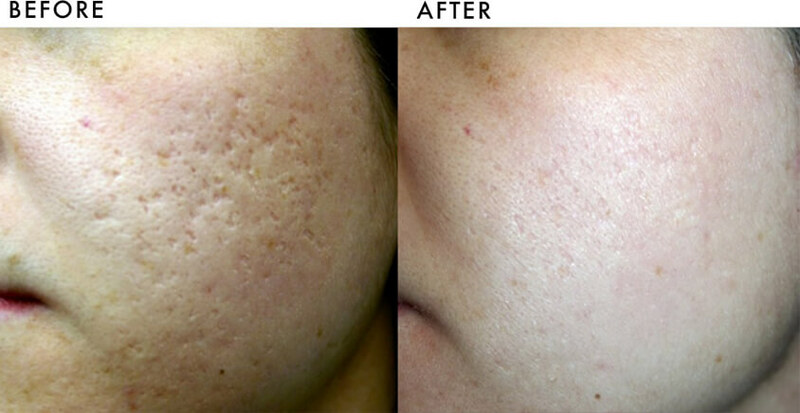 On higher settings, the treatment has a resurfacing effect and may be used to improve general skin texture and appearance and in treating early or mild acne scarring and other types of scarring (boxcar and atrophic scarring). 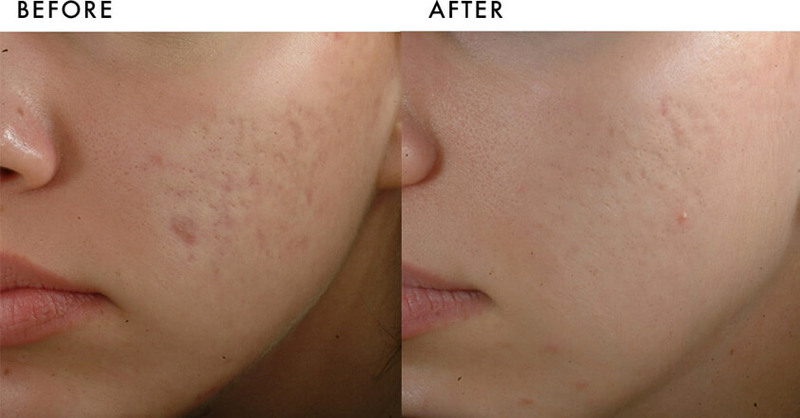 This device is also of capable of treating active acne with very impressive results after 4-5 treatments. RF is one of the safest cosmetic treatments offered because it is non-invasive and works by heating the deeper layers of the skin keeping the outer layers intact. This treatment is suitable for any skin type including darker skin types. The treatment is well tolerated in the majority of clients. Most people report a ‘prickling’ sensation followed by a ‘sting’. This can be uncomfortable in sensitive areas such as around the eyes. Numbing cream is applied complimentary for this treatment. 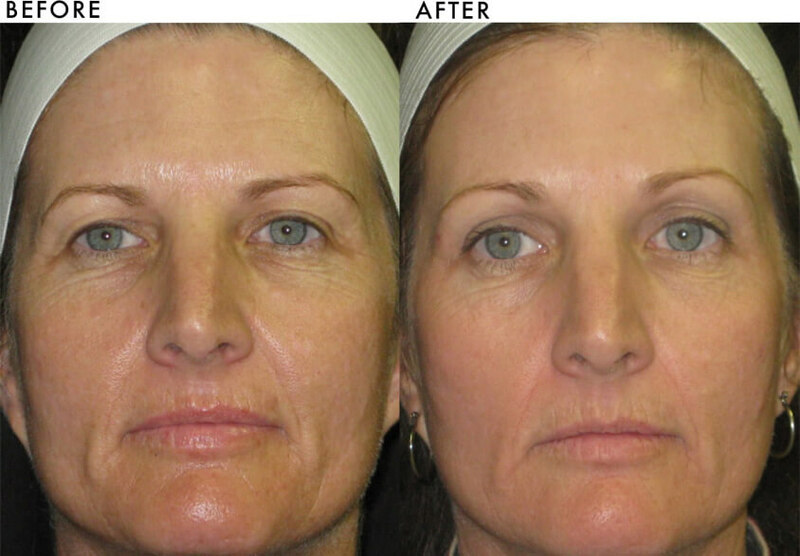 RF fractional resurfacing is a non-invasive treatment so there is very little downtime associated with this procedure. Most clients experience erythema (redness), warmth and mild stinging in the area for a few hours to 3-5 days (higher settings) following the treatment. Cooling is recommended by fanning the treated area. Temporary ‘patterning’ of the skin can occur in some skin types. This is easily covered by makeup. Minor flaking and peeling and prolonged erythema (redness) of the skin can occur at higher settings but your therapist will let you know if this is likely to happen. Oral non-steroidal anti-inflammatory (NSAID) can be used. Any area can be treated but the recommended areas for this treatment are the face, neck, around the mouth and eyes, décolletage and hands. Although you will likely see some improvement in your skin after your first treatment, most people experience optimal improvement over the course of 3-5 treatments with 4-6 weeks between treatments.